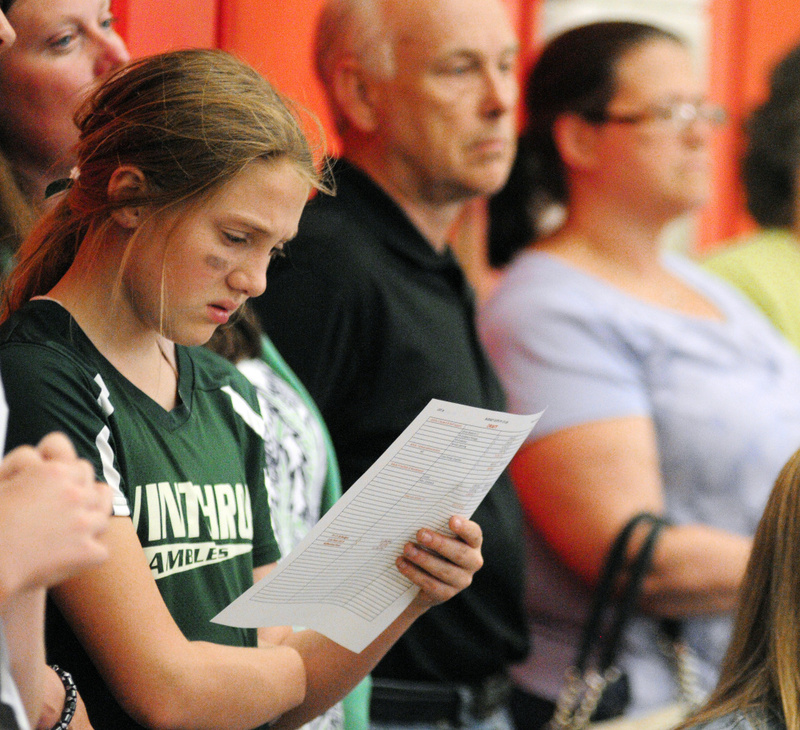 Many residents said at a meeting Tuesday evening they oppose $500,000 in planned cuts to music, arts, sports and other programs in the proposed $10.9 million budget. 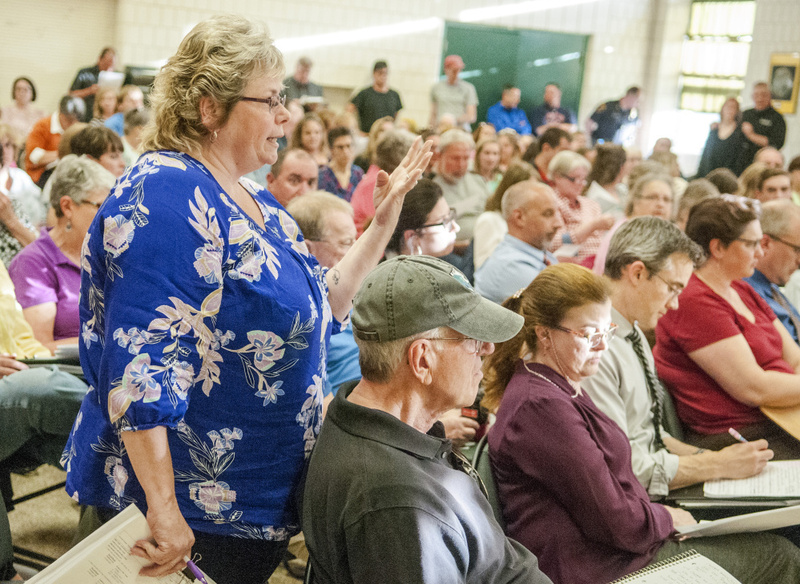 WINTHROP — Nearly 200 residents packed into the town hall on Tuesday night, many of them to oppose nearly $500,000 in cuts to music, arts, sports and extracurricular programs that have been proposed in next year’s school budget. The school department has drafted a $10.9 million budget for next year, which is 2 percent lower than this year’s $11.2 million budget, on the order of the Town Council. 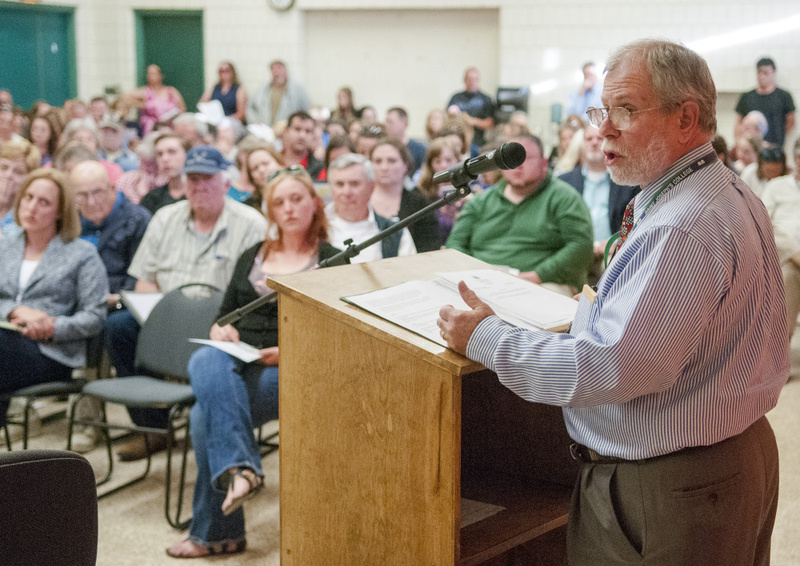 Councilors asked Gary Rosenthal, superintendent of the Winthrop School Department, to find those cuts after he first presented a $11.4 million budget to them earlier this spring. The increased budget would have preserved the department’s existing programs and accounted for the rising costs of things like health insurance and special education. But the Town Council ordered the school department to come up with the lower budget because the town is now trying recover from a large shortfall in the school budget that was discovered last summer. Toward the beginning of Tuesday evening’s meeting, several town officials defended their budget directive. 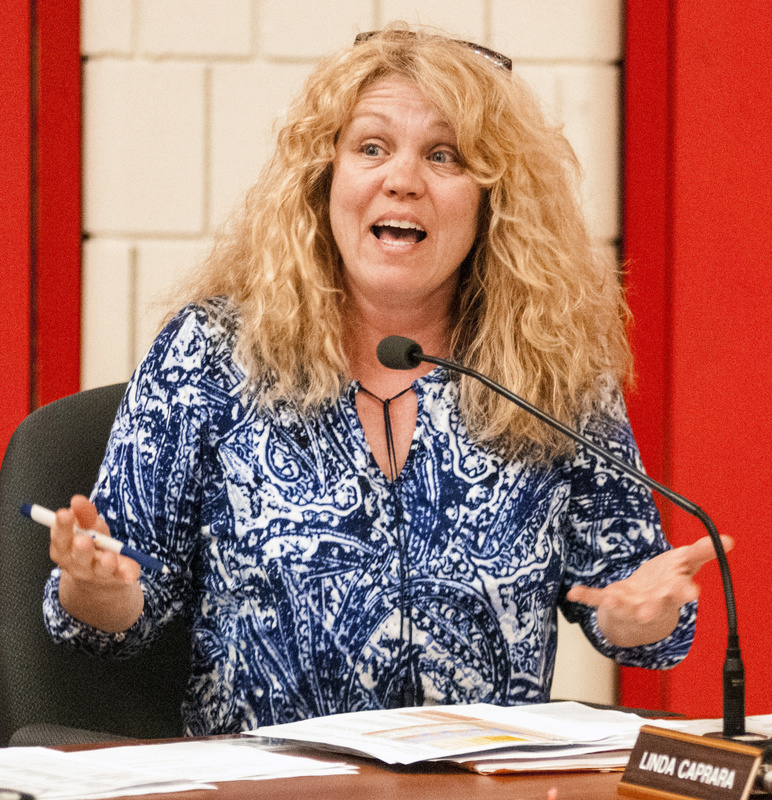 Councilor Linda Caprara said she thinks the school department can find cuts in its administrative costs without affecting all the programs that may now be eliminated. Town Manager Peter Nielsen said that it can be hard for residents who are on social security to afford even a modest increase to their property taxes. But numerous parents in the audience said they’d be willing to pay a little more in taxes for school programs that have helped their children and grandchildren, and that can attract younger families to Winthrop. They said they oppose the areas that have been chosen for cuts, including tennis, cross-country and other sports teams; a music program in the middle and high school; and various other extracurricular activities. Many parents move to Winthrop for those programs, said Barbara Walsh, the parent of two girls who have attended the local schools and executive director of the Winthrop Lakes Region Chamber of Commerce. 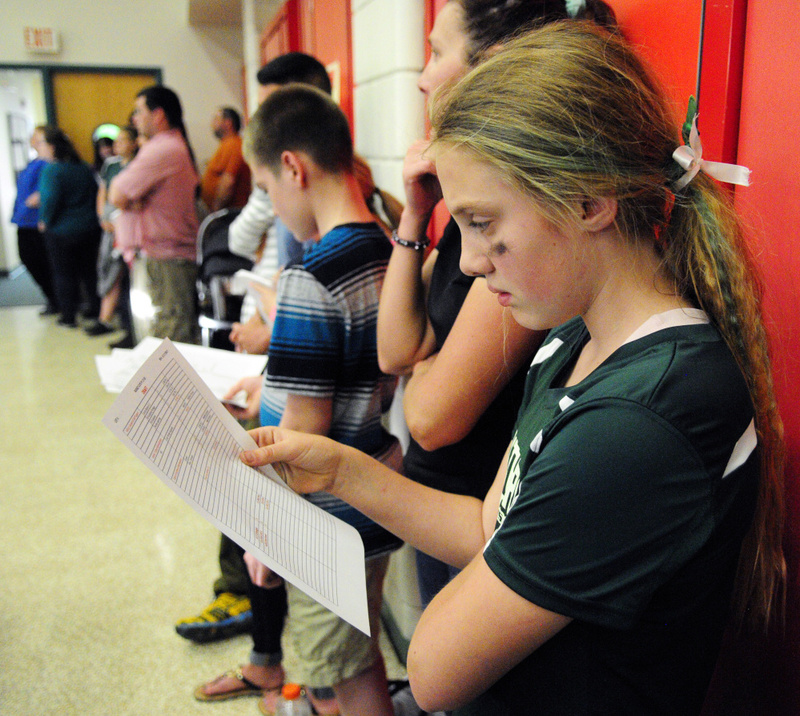 Many of the attendees were parents, but a few students were also in the audience, some wearing the uniforms of their sports teams. “We know you have to make cuts, but don’t take away our art class.” said one local student, Charlotte Precourt. Other students spoke about the enjoyment and confidence they’ve gotten from performing in the district’s drama programs, and the importance of being able to list extracurriculars in college applications. Several of the children choked up as they described their involvement in the those programs and asked local officials not to cut them. 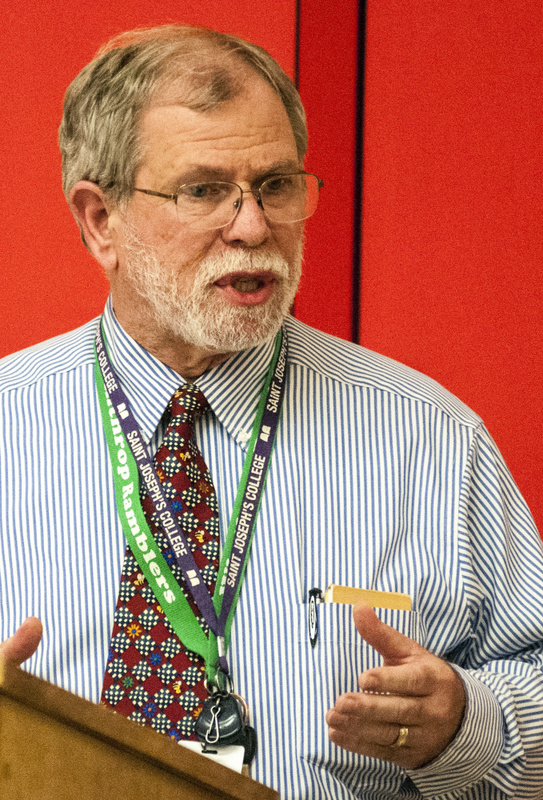 Rosenthal, who was at Tuesday’s meeting, said the School Department can’t reach the council’s $10.9 million funding target without eliminating a mix of arts, sports and extracurricular programs. He said the district worked with an auditor to methodically find ways to reduce the budget that much. He also said he’d like residents to push for a higher budget, closer to the $11.4 million he originally proposed, so that the department doesn’t have to end those programs. “We’d like to get to point where we can reinstate some of these programs, but we can only do that with the support of you, the taxpayers, and the Town Council,” Rosenthal said. But councilors said they think the school department can reach that funding level without slicing the programs Rosenthal has identified, given nearly $400,000 in savings it has found this year from its original budget proposal. Councilors also said that many residents are already struggling to pay their taxes in town, and can’t afford a tax increase, and a handful of attendees spoke up to agree with them. Councilors set their lean target for next year’s school budget partly because of the difficult financial situation facing the town. A large shortfall was discovered in the school budget last summer, and officials now think they’ll have to borrow $2 million to ensure the town has operating funds next fiscal year. In Winthrop, councilors must approve the total amount of the school budget before it can go to voters in a referendum on June 13. But within that total amount, the school board chooses the breakdown of which programs it would like to fund. 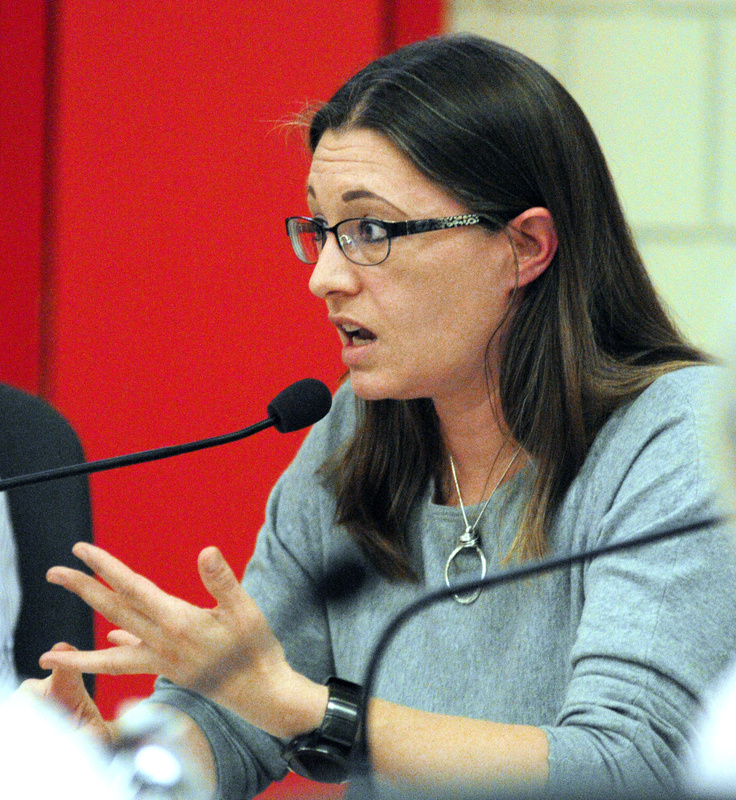 Councilors have also set the $10.9 million funding target because the school department has managed to save nearly $400,000 since the discovery of the shortfall, Sarah Fuller, chairwoman of the Town Council, said on Tuesday. Councilors hope the school department will be able to keep costs that low next year, so the town will be able to restore its cash flow and start repaying those loans. This year’s town budget is $7 million, and councilors have drafted a budget for next year that is $22,000 lower. They have had to postpone several capital improvement projects to make that target. But school officials and some of the parents who spoke Tuesday said the district can’t keep spending at that low level. Other attendees said they wish the Town Council would be more open to working with the school board. Meg Cook, a retired Latin teacher and a member of the school board, said the council’s directive to come up with a flat budget is easier said than done.